Padma Vibhushan’ is awarded for exceptional and distinguished service; ‘Padma Bhushan’ for distinguished service of high order and ‘Padma Shri’ for distinguished service in any field. The awards are announced on the occasion of Republic Day every year. In 2017 the President of India has approved conferment of Padma Awards to 89 persons as per the list below. 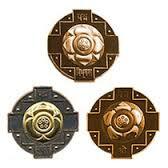 The list comprises of 7 Padma Vibhushan, 7 Padma Bhushan and 75 Padma Shri Awardees. 19 of the awardees are women and the list also includes 5 persons from the category of foreigners, NRIs, PIOs and 6 Posthumous awardees.